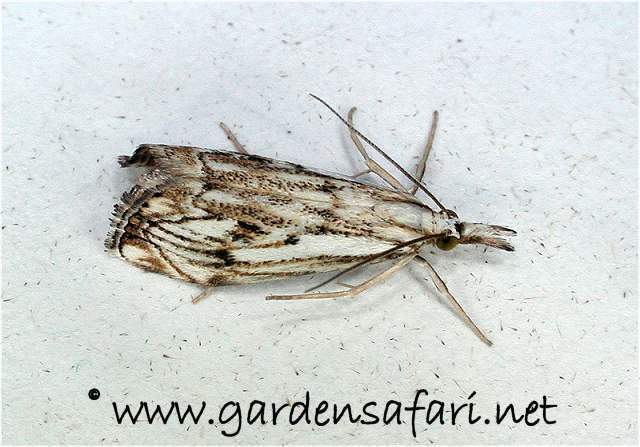 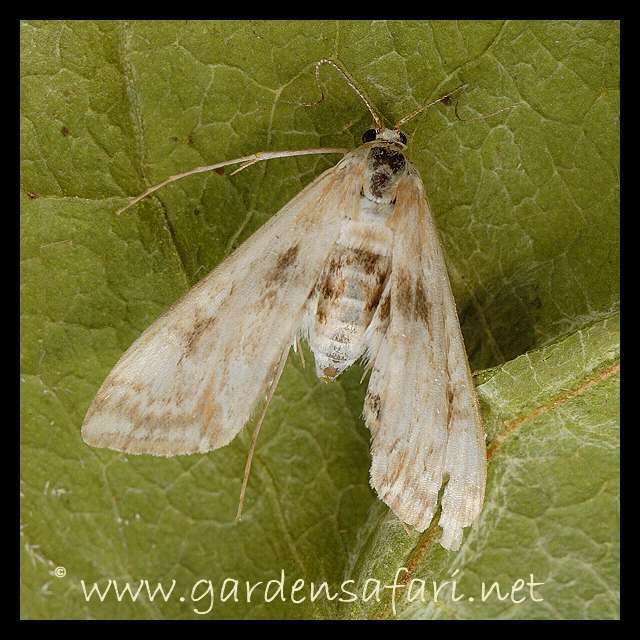 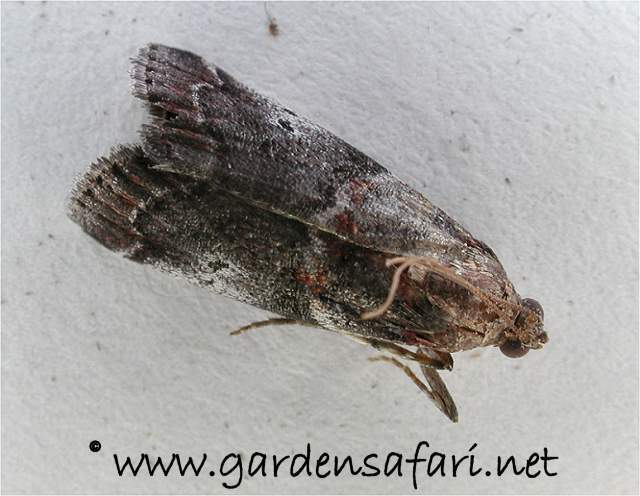 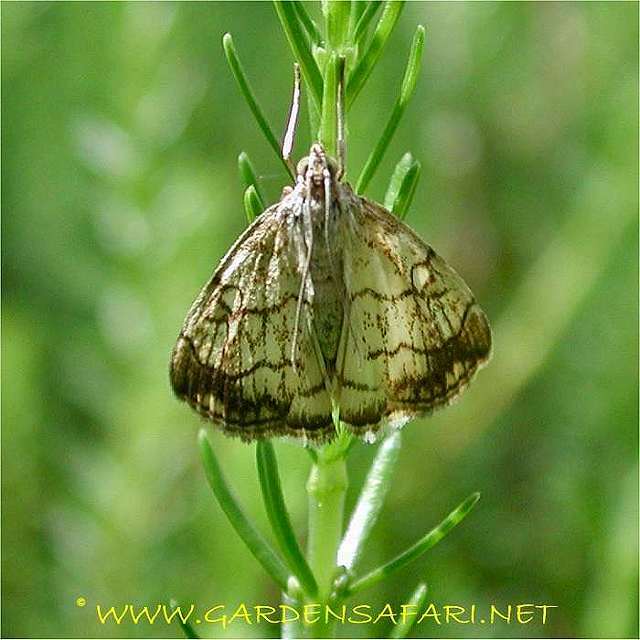 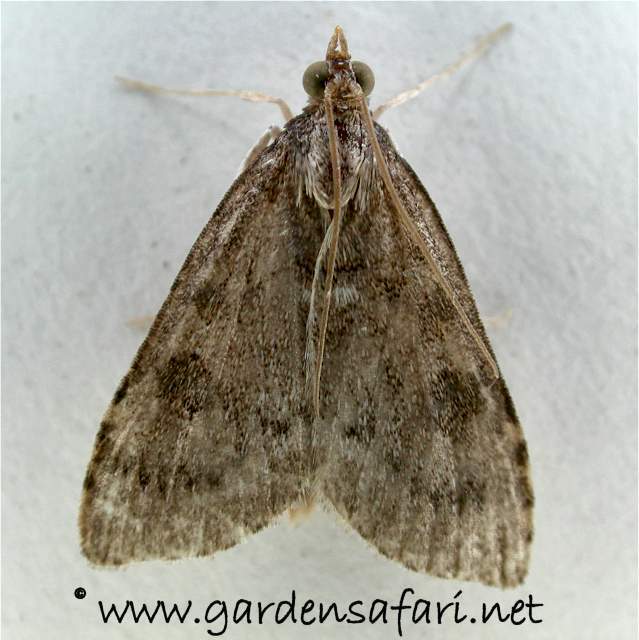 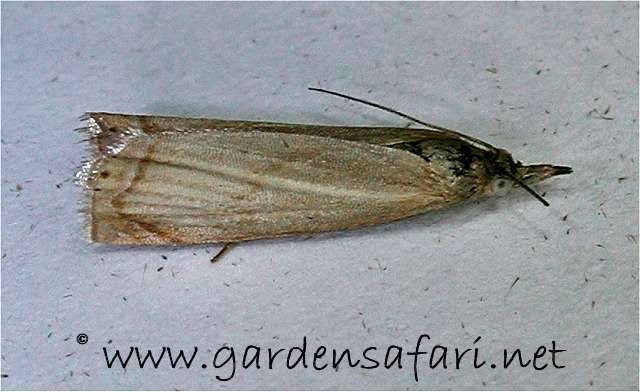 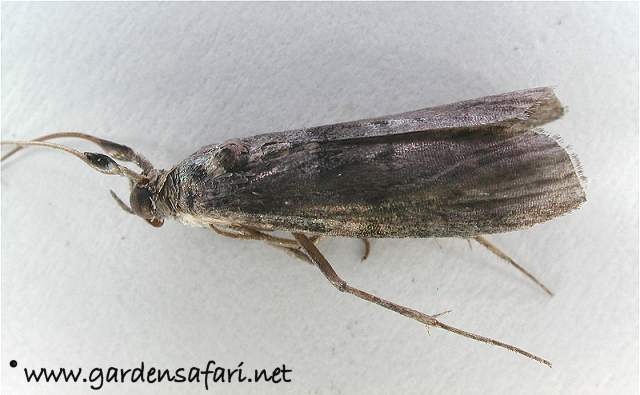 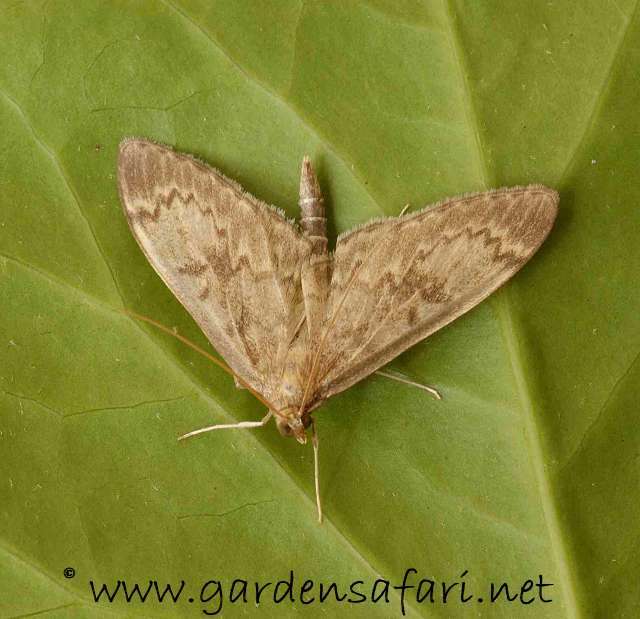 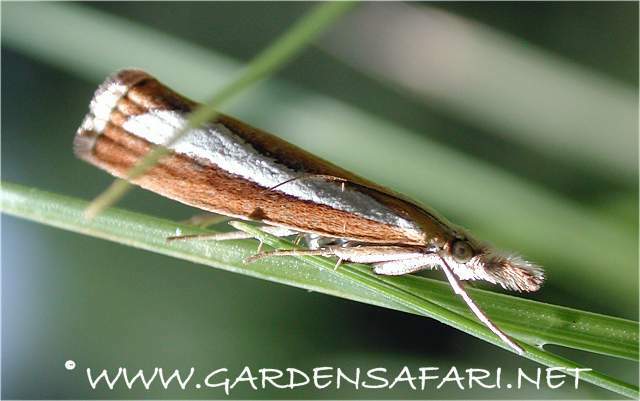 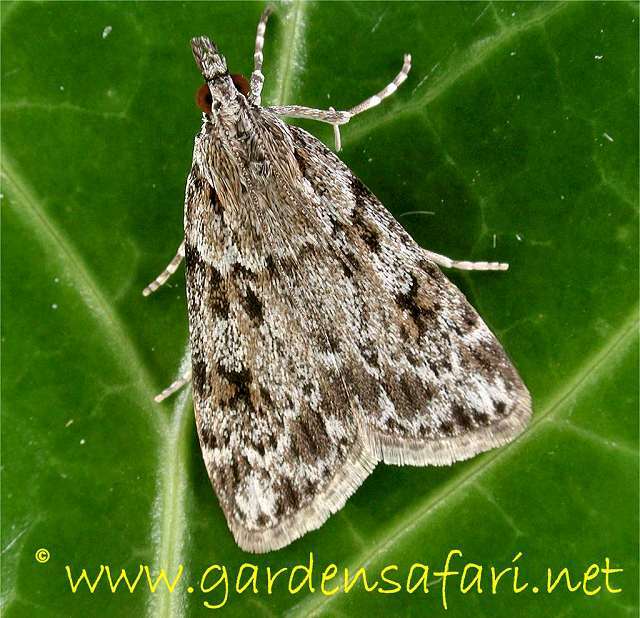 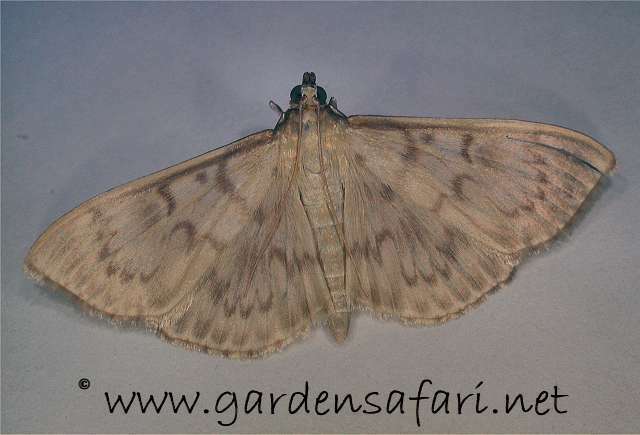 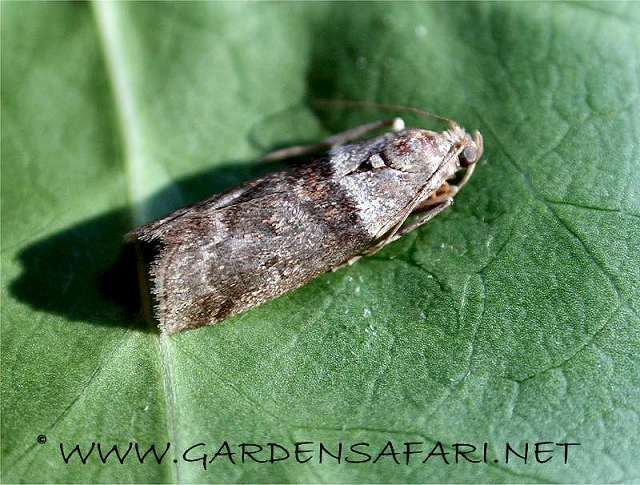 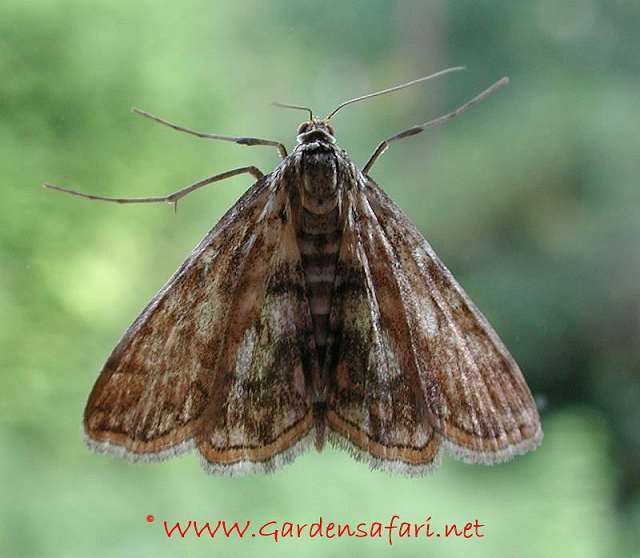 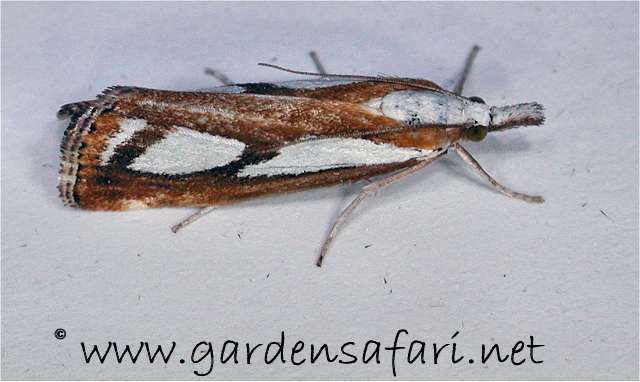 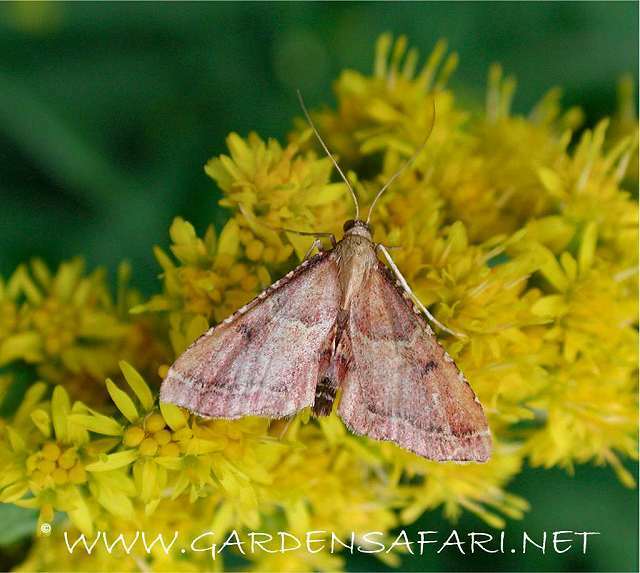 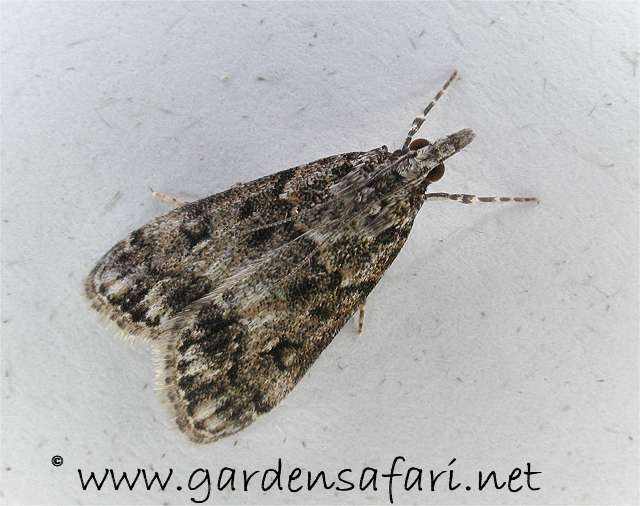 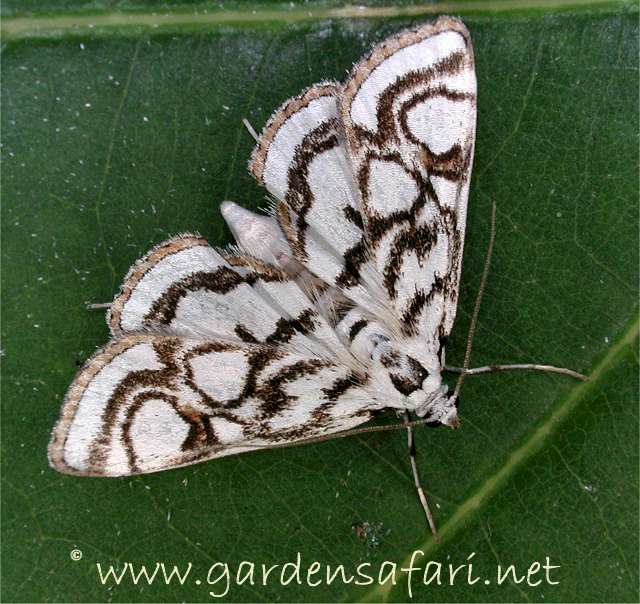 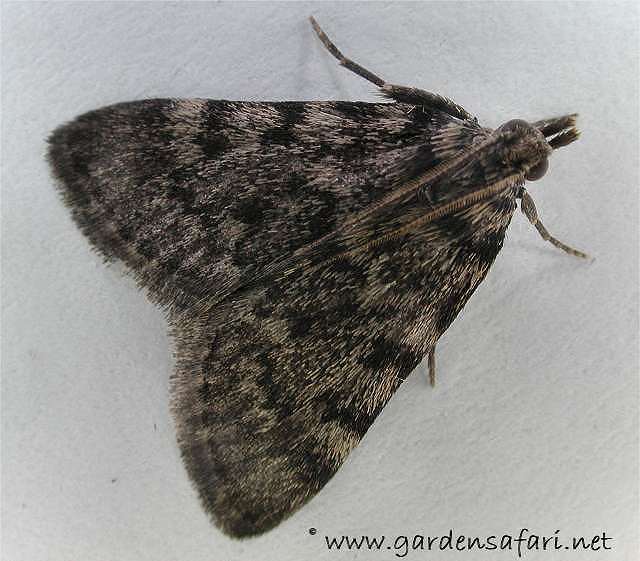 Snout Moths in our garden with lots of pictures. 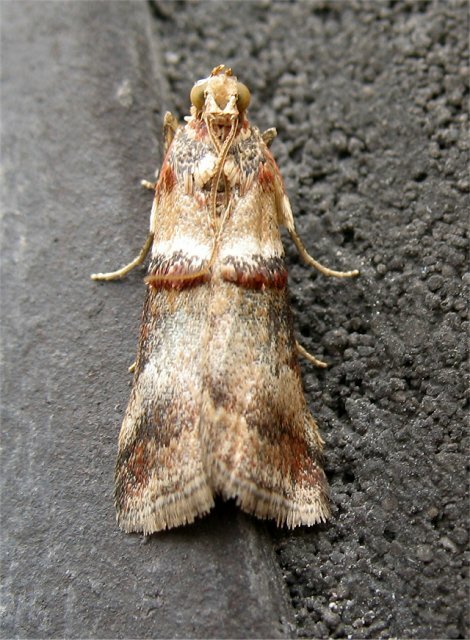 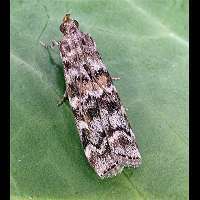 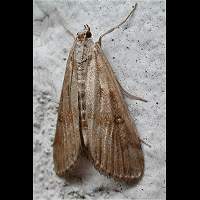 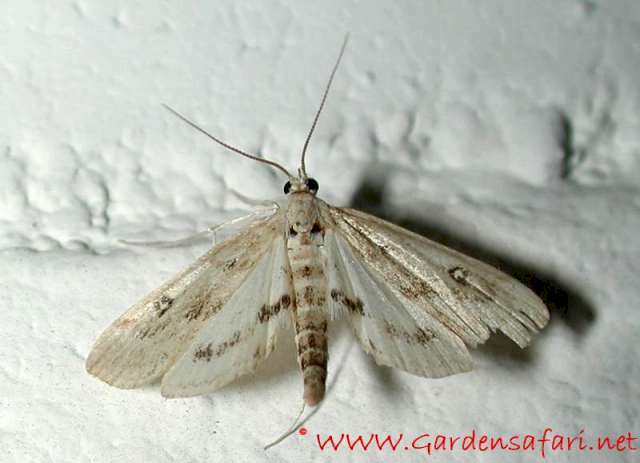 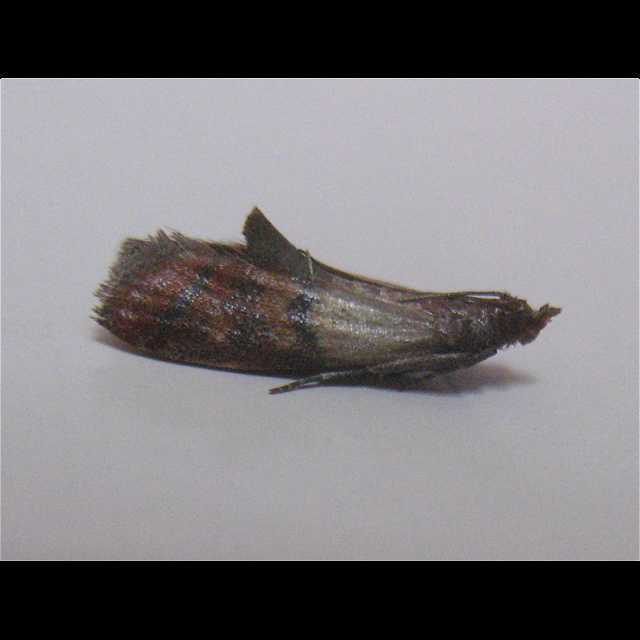 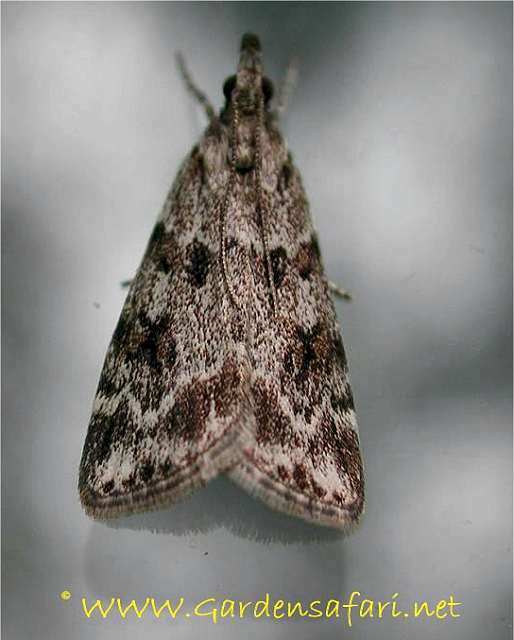 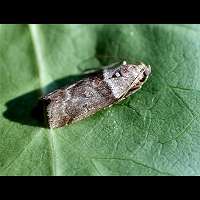 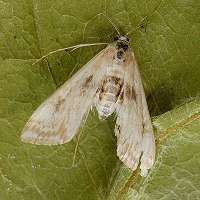 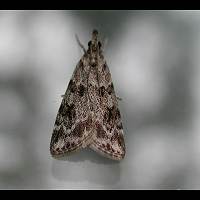 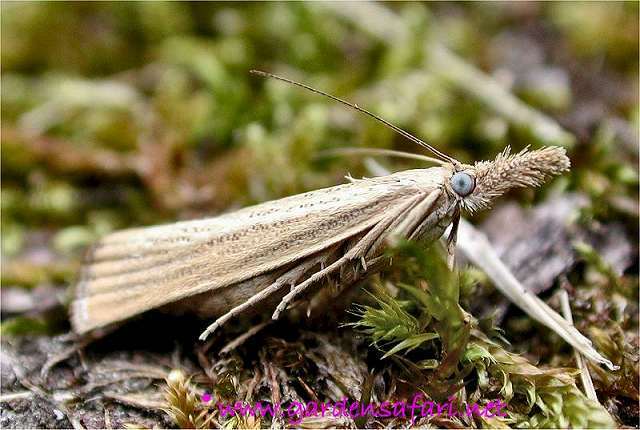 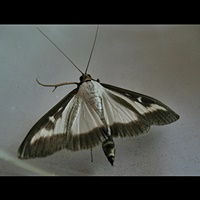 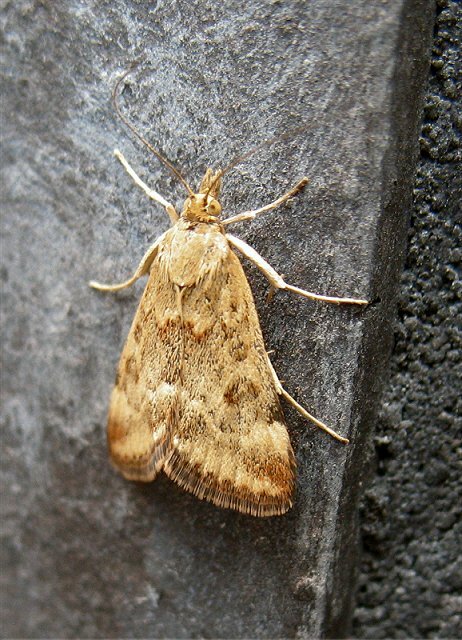 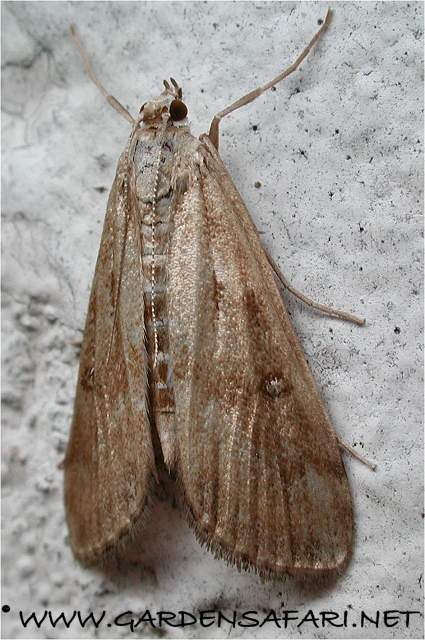 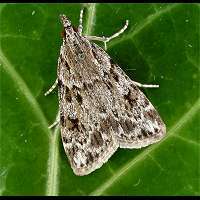 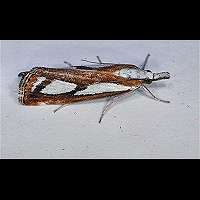 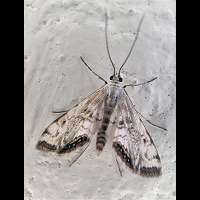 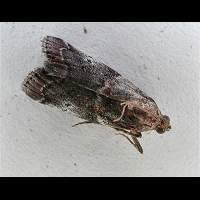 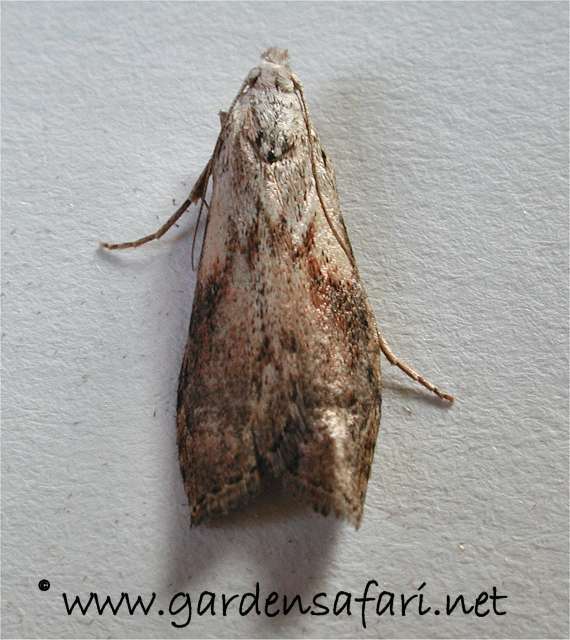 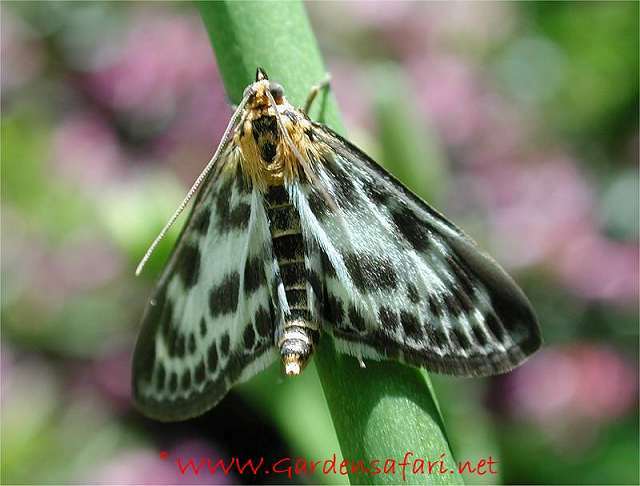 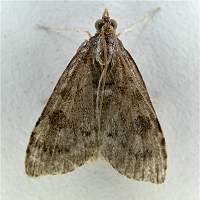 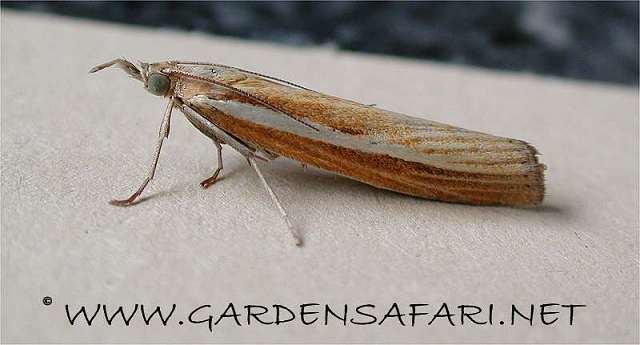 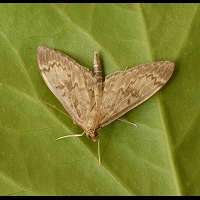 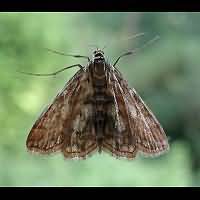 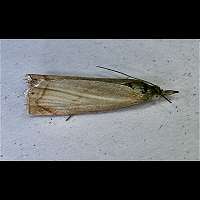 The family of Snout Moths, also referred to as Pyralid Moths, consists of over 200 British species. 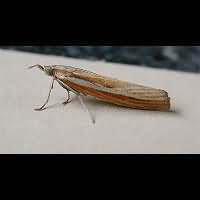 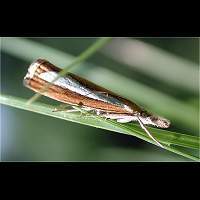 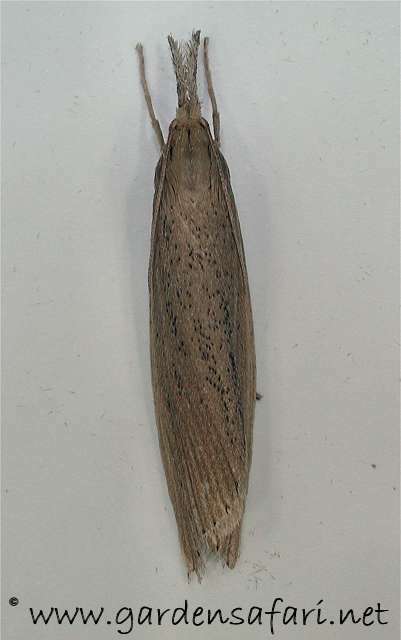 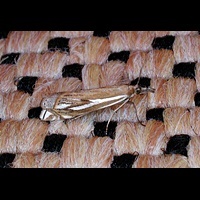 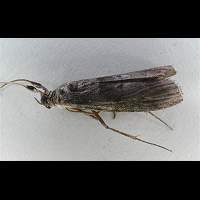 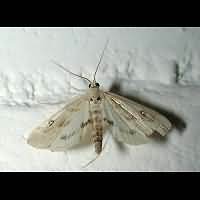 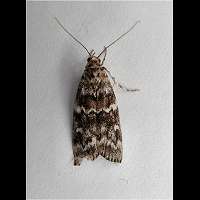 In rest they immediately stand out among all other micro moths, for they keep their antennae over their wings. 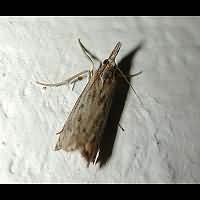 So any moth in rest having their antennae fully exposed belong to this group. 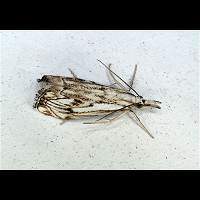 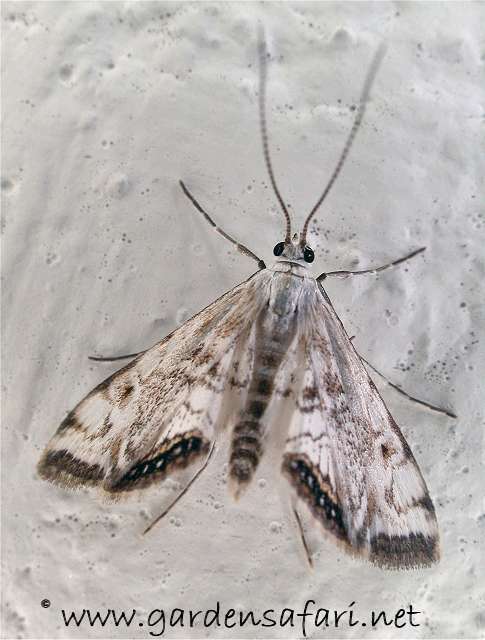 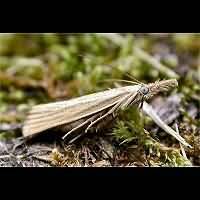 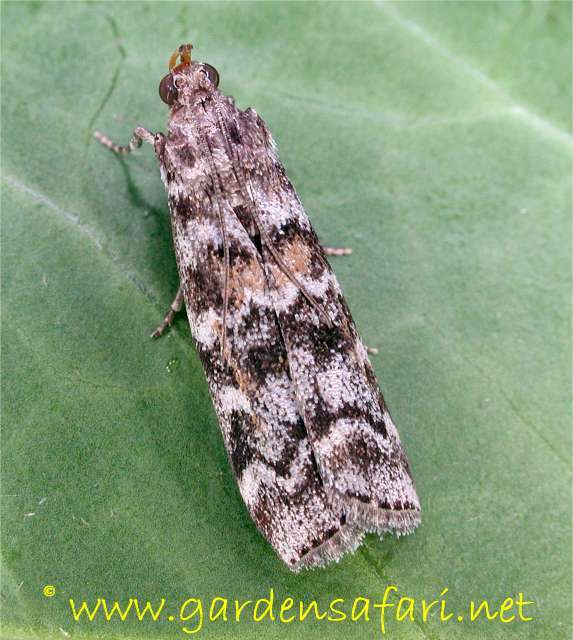 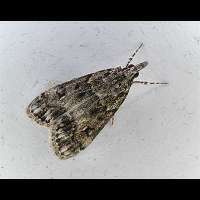 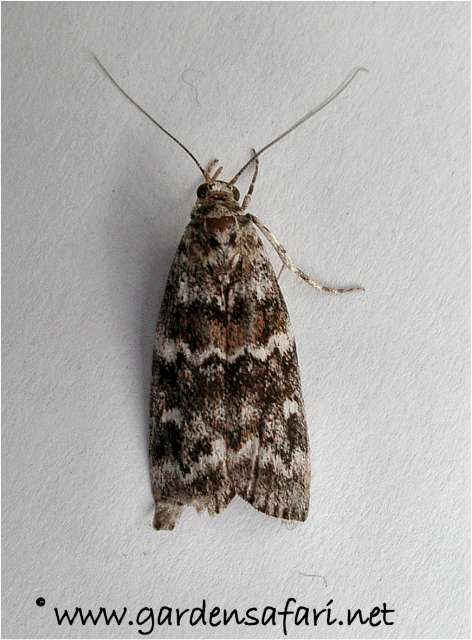 The English common name of Snout Moths is less accurate. 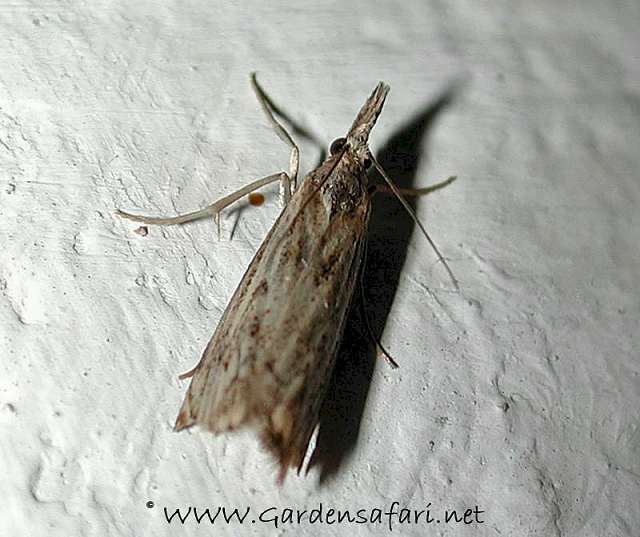 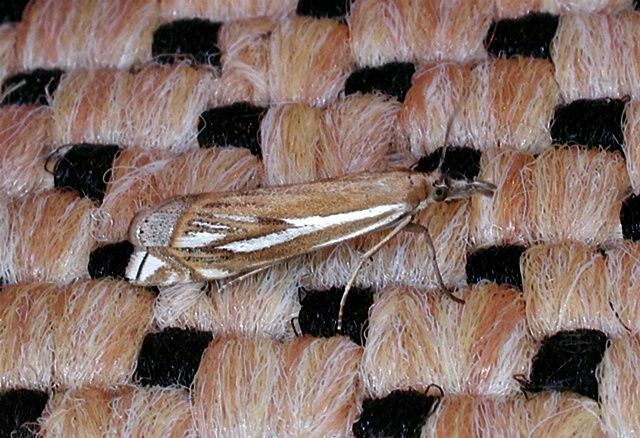 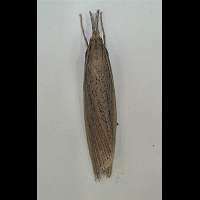 Many members of this family have big snouts indeed, especially the Grass Moths, but others have unobtrusive snouts. 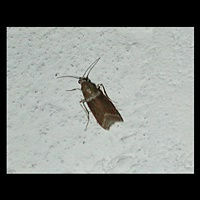 Thus it is better to judge this family by the visible antennae. 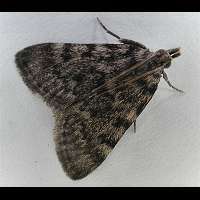 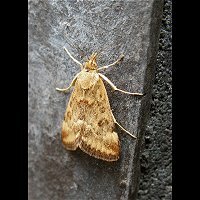 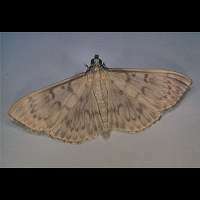 Nowadays some of the subfamilies have been put in families of their own, but still most moth experts treat the Pyralids as one group. 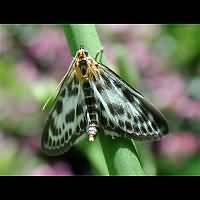 Some are very beautiful animals indeed, such as the China Marks. 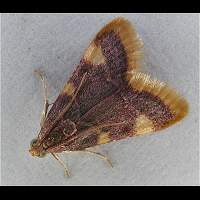 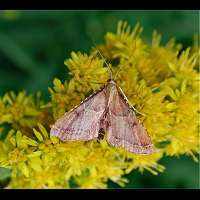 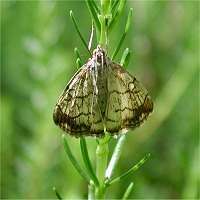 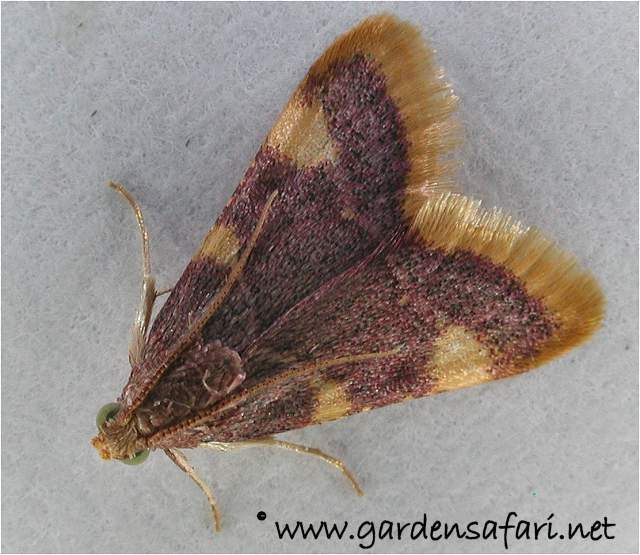 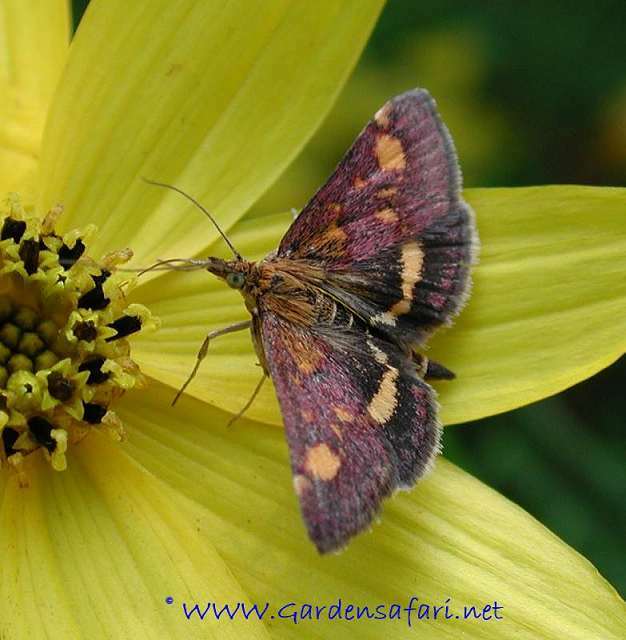 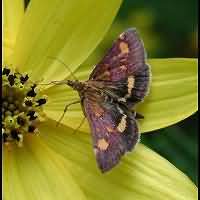 Others are very small, but attractively coloured and well known by many, such as the Mint Moth. The family is divided into various subfamilies. 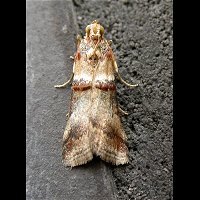 This page has last been modified on Thursday, December 27, 2018.